I love a crisp, all-white look. There's something so appealing about pairing white on white. And yes, even after Labor Day. (Who made up that rule anyways?) I was even featured in this article on 'How To Wear White After Labor Day' not too long ago, so I thought it was fitting to share. On another note, it's finally FALL BREAK. I have been anticipating this day ever since the beginning of October! I am currently on my way back home to Fayetteville to spend a couple of days with my family before heading back up to Chapel Hill. It's midterm week for me when I come back and I'm hardly looking forward to these upcoming exams... #prayersplease! 1. 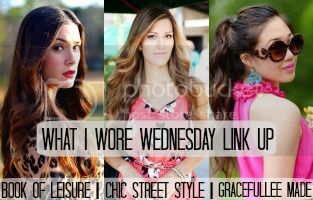 We ask that you please follow the hosts on Instagram: @bygracelee | @elizabetheuna | @chicstreetstyle | and use the hashtag #wiwwlinkup when posting on Instagram. I love your all white look!! So chic! 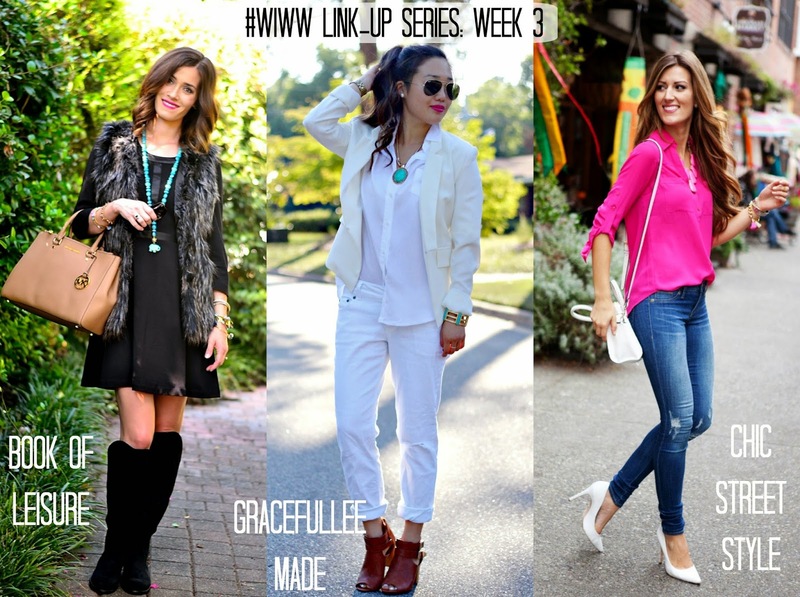 White is totally okay after labor day! 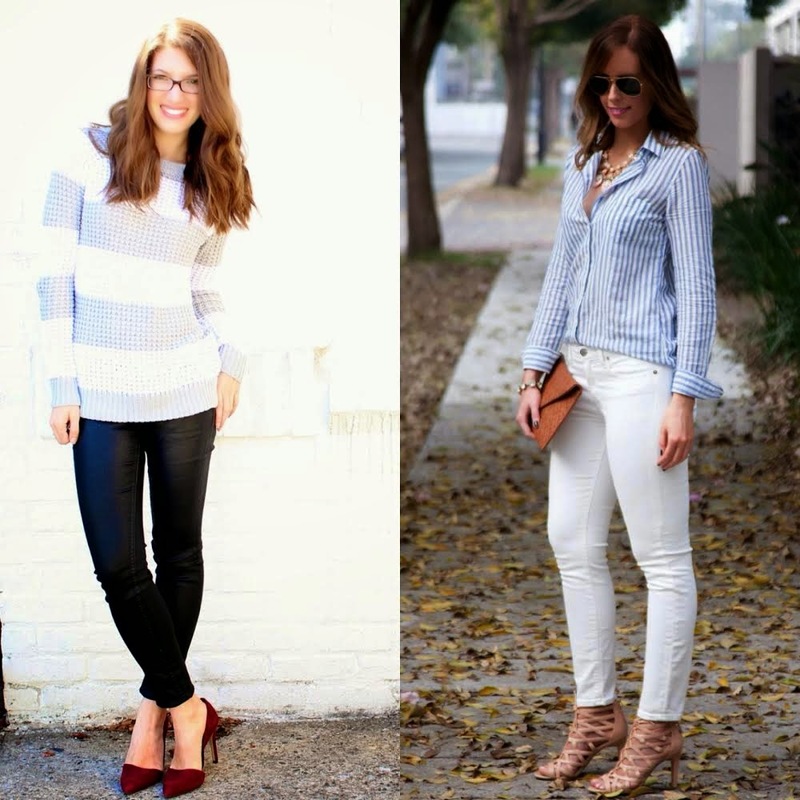 Winter white is one of my favorite trends! Wow. This look is AMAZING! Love how you paired it with cognac booties! Love the booties and the pops of blue!! Enjoy your Fall Break- mine sadly just ended (and I'm not ready to go back to school)! !